Ever feel like you’re on the outside looking in? Use these proven steps to become more charming, make more friends, and learn how to be popular. Do you ever feel like you’re on the outside looking in? Like everyone has a ton of friends except you? I totally get it. I’ve had these moments too before I learned how to become popular. I think everyone has — even Kevin Bacon, the paragon of connectedness, didn’t get recognized at the premiere of Animal House even though he was IN THE MOVIE. This is not a picture of one of the popular kidsNow check me out in college. The good news is that it gets better. I now feel confident, not awkward. I get invited to speak at conferences…. …and I even got accused of taking steroids because of the way I look now. One of the best moments of my life. This random Redditor accused me of using steroids (PEDs = performance-enhancing drugs) because of how I look. It hurt my feelings so much I started crying at the gym.So how did the skinny/shy dude in those photos become popular, a confident CEO and best-selling author who got into the best shape of his life? He applied a system of habit change to become more outgoing. There are really just a few steps. I learned to pay attention to the people I was talking to. I studied charisma. I spent a lot of time working on conversation. And I networked to meet other people. These are the tools of popularity. A little bit of empathy makes it easier to make new friends and meet people. Often times, when we approach a social situation, we’re thinking about what WE can get out of it — instead of considering the other person. The trick then is to go into conversations with the mindset of a curious beginner. Be inquisitive and pay attention to how they respond. Ask questions when you don’t understand something and don’t be afraid to ask follow-ups. Just don’t get too repetitive or too personal. By doing this, you’ll actually make other people feel comfortable when you ask a question everyone else wants answered. And the person you’re asking will be thrilled to elaborate. Unfortunately, no one will tell you if your social skills need work. That’s why the best way to improve your social skills is to ask for feedback. Feedback reveals hidden habits and insights you’d never notice on your own. One of the experts on behavioral feedback is Michael Ellsberg, author of The Education of Millionaires. I want to share an excerpt of an interview I did with him where he discusses how asking for feedback transformed his life. Pay special attention to how he transforms negative feedback into life-changing improvements. Yes, this is hard to do! Not everyone has the courage to ask for feedback. Not everyone has the courage to try to improve themselves. But if you try, you’ll find most people are eager to help and that even a few small improvements will have a major impact on your life. I used to believe that some people are born with charisma and some people aren’t. That some people are just natural at making new friends and public speaking — and the rest of us were stuck feeling awkward. But I was wrong. The truth is EVERYONE can learn to be charismatic. Charisma is a skill, and like any other it can be learned, honed, and mastered. It takes practice (like the charisma games at the bottom of this article). Charisma is powerful and it makes the people around you feel special. Use the techniques from this article and you will see positive changes in the way people react and engage with you. Let’s say there’s a world-class chef who’s about to cook you the best omelette you’ve ever had. It should be easy to crack a few eggs right? You get the idea. Each of these seemingly simple elements were areas that the chef had to master — drawing upon years of experience in order to create a fantastic omelette. Charisma is the exact same way. You can learn to be great at small talk or you can be a master of body language, but if you don’t make sure you’re training all of your individual “muscles” you won’t truly be charismatic. One of those “muscles” is small talk. Small talk is a CRITICAL part of life and building relationships — it’s what helps people get to know each other, establish meaningful connections, and lay down the foundation for great long-term relationships. The trick is taking an active role in the conversation. Help it flow in the way you want it to go. So, what do you say then? What happens when you’re at an event or party and see somebody you want to talk to…but don’t know how to get a discussion started? There are actually 3 lines you can use to start a conversation. And no, these aren’t pick-up lines or “negging” or whatever skeezy seduction tactics other “experts” try to sell you. They’re simple, effective lines to help you jumpstart a great conversation. YOU: Hi, nice to meet you. I’m Ramit. What brought you here? THEM: Hi, Ramit! I’m John. I’m actually here because I know the founder of the blah blah blah. YOU: Oh really, how do you know them? And the conversation just flows from there. Yes. This one really is that simple. AWESOME! If that happened, you’d feel so grateful to John for walking up to you and engaging — because it’s way less awkward to not do anything than to take that first step. This also implies a confidence in yourself, another key ingredient to charisma and popularity. You don’t need a clever line or funny statement — your name and a plain spoken “hey” is engaging. As long as you remember that you’re doing them a favor by talking to them, it makes the process MUCH easier. It turned out that was a fantastic conversation starter because we were all there to support our friend Michelle. And from that one line, I was able to learn so much about the people I was talking to. Look, I get it. It’s really hard sometimes to just make the first jump into a conversation. However, if there’s already a shared connection between you and the other person, the process becomes much easier. This also directly leads to popularity — connecting with many people! Why are you at this party/event/convention? How long have you been doing X? Once you start the conversation, congrats! The hardest part is done. However, that doesn’t mean you should just sit back and let the other person do all the work for you. If you don’t make sure to keep the other person engaged and ask thought provoking questions, it’ll be easy to let the conversation die. To that end, you can be an active listener and ask great questions based on their answers. When you watch people who are really socially skilled converse, they will ask a question, listen, and then make a statement based on that answer. If you’re still confused, a solid rule of thumb is to ask 2-3 questions and then make a statement as well. Take a look at the two examples below. Can you see why one is bad and the other one is good? TERRIBLE. This conversation is entirely hypothetical and I’m still cringing. You’re not involving yourself in the conversation — and as a result, you’re not adding value. All this does is make you seem like someone who simply asks questions. Don’t do this. BOOM. Now you’ve successfully engaged this other person and established a connection with them — all by sharing something simple about yourself. People have come up with all sorts of weird tricks for improving your body language. Google “body language,” and you’ll learn all sort of interesting new words: mirroring, foot direction, power posing. Stuff nobody in the real world cares about or notices. The only thing you really need to remember is SETHE. Smile. If you’re not used to smiling, it can feel totally unnatural. Practice letting your smile “fill your face.” I used to videotape myself speaking to find out I wasn’t smiling enough. It gets easier once you start practicing. Energy. Take whatever level you’re at, and add 50% more energy into your voice and movement. What feels weird to you is NORMAL to everyone else. Talk slowly. Slow down what you’re saying by 50%. It will feel sluggish, but this is perfect for everyone else. Enunciate your words to help slow down. 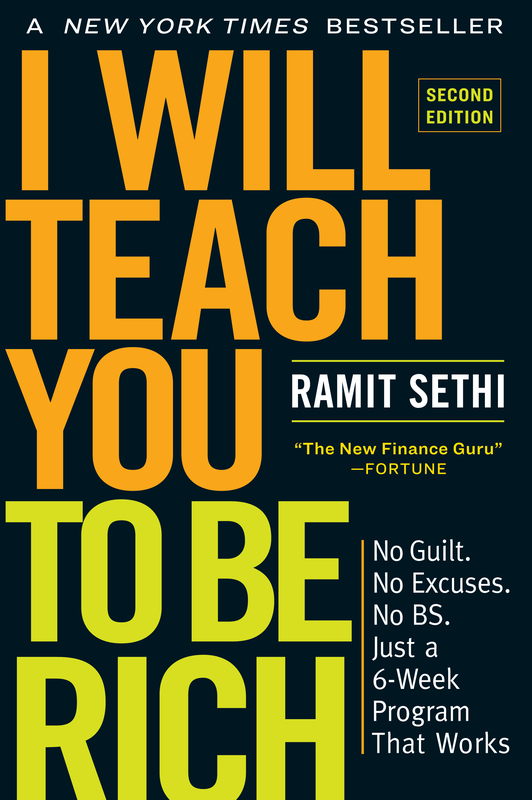 Young Ramit got way ahead using this one tip. Hands. Experiment with your hands to find your comfort zone when speaking. How do you feel when you leave yourself more “open,” or gesture more? Eye contact. Study how socially skilled people use eye contact. How long do they look at someone? Where do they look after disconnecting? By testing, you’ll find what works for you. Don’t try to work on every one of these basics at the same time. Don’t overthink it. Work on your body language piece by piece to improve one thing at a time — this isn’t a race. I want you to listen to people you’re talking to, not try to remember SETHE. You literally have your entire life to get good at this. Try one improvement the next time you go out until you feel comfortable, then move on to the next. People aren’t stupid. They know a weak compliment (or “flattery” as Carnegie called it) when they hear it. They also know the value of a good authentic compliment and appreciate it. The observational compliment goes a step beyond “Nice dress” or “I like your tie” and shows the person you’re complimenting that they have EARNED your appreciation. See the difference? The first one isn’t authentic and people will pick up on that. People LOVE to hear about themselves. This is the reason things like the Myers-Briggs test and astrology are so popular. It shows that you’re LISTENING. People love to feel heard, and when you’re able to showcase that you were paying attention to what they were saying, they’re going to respond well to your compliment. This general framework works for any number of observational compliments. Find one that works for you. Remember, you can’t fake observational compliments. People will recognize inauthenticity immediately. So make sure your observational compliments are genuine. Here’s what I want you to do today. Not tomorrow. Not a week from now. TODAY. If you’re reading this before bedtime, do it as soon as you can when you wake up. In order to help exercise your charisma muscles, I want you to play two games. That’s right. Who said self-development couldn’t be fun? Utilizing these skills, you’ll be able to leave fantastic impressions on people and introduce yourself to anyone you want. Be sure to put them to good work by building your network. Of course, this is just the beginning. In your journey to become a more charismatic and popular person, you’ll want to hone your skills as much as you can. That’s why I want to offer you a more advanced lesson on body language. Your body language has a HUGE impact on how other people see you, as well as how you feel about yourself. Like the SETHE Technique I shared above, you can improve your body language with just a few small changes and you’ll make yourself 99% more likable than most people — but that’s just the beginning. Sign up below and I’ll send you a video showing exactly how to do this.